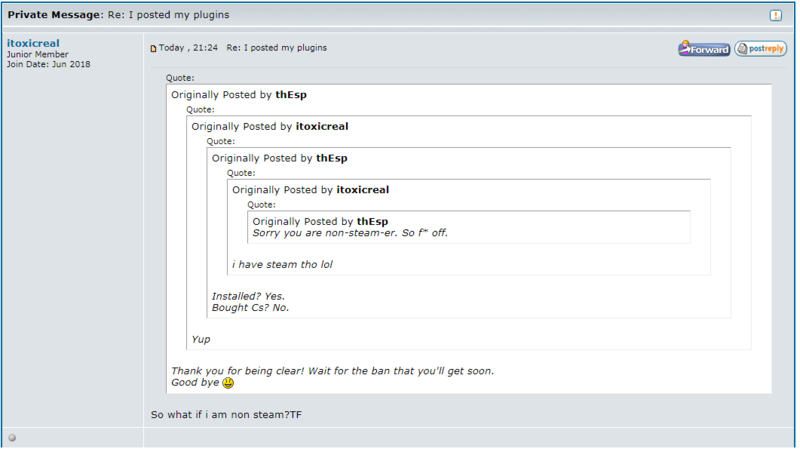 You should "stfu" child, you aren't even a steam user. What can we expect from you? Though, your name represents you. Toxic ! Last edited by thEsp; 04-15-2019 at 14:18. Stfu i said that so someone else can do it for me. Last edited by OciXCrom; 04-15-2019 at 15:06. At next he will probably beeing spoon-feeded? I can pay $5 if youd like. Add that much and buy the actual game. All times are GMT -4. The time now is 03:29.